A follow-up to "The Bippolo Seed and Other Lost Stories" by Dr. Seuss! A new Dr. Seuss book! 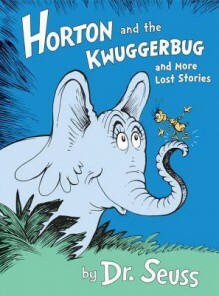 This follow-up to "The Bippolo Seed and Other Lost Stories" features familiar Seussian faces and places including Horton the Elephant, Marco, Mulberry Street, and a Grinch as well as an introduction by renowned Seuss scholar Charles D. Cohen. Seuss fans will learn more about Horton s integrity, Marco s amazing imagination, a narrowly avoided disaster on Mullbery Street, and a devious Grinch.